What to do when your sugar hangover settles, in this enjoyable chocolate capital of the world. 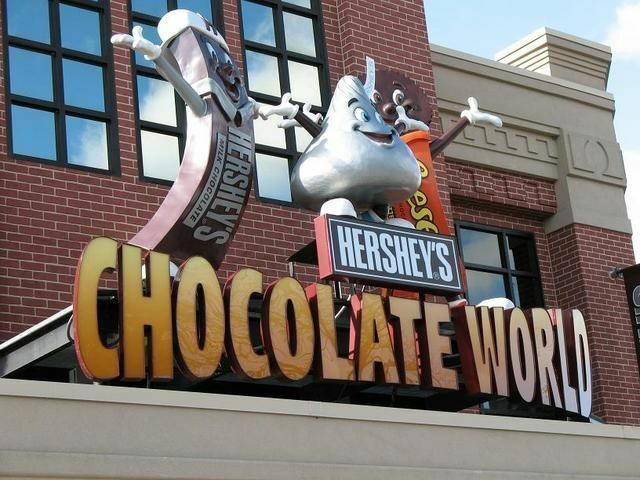 A trip to Hershey, Pennsylvania is not complete without the taste of chocolate. 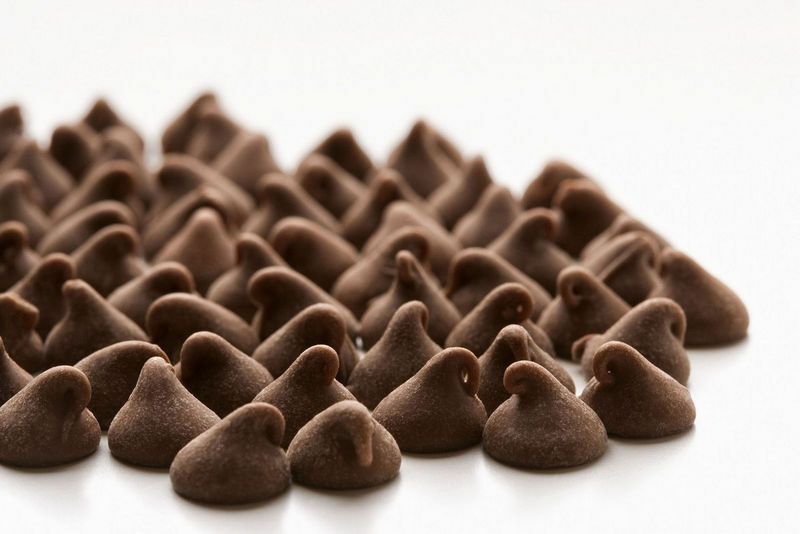 Enjoy the enticing aroma as you stroll along Chocolate and Cocoa Avenues where the street lamps are shaped like Hershey’s Kisses. 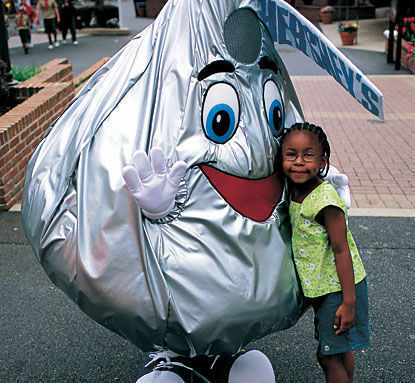 For info on all attractions call 800/HERSHEY or visit www.hersheypa.com. The Hershey Museum has been replaced with the Hershey Story, a new museum that is set to focus less on the history of the company and more on Mr. Hershey himself. While this is filled with alot of education, the Hershey Story still has lots to make a visit fun. Check out the Chocolate Lab which gives visitors a hands-on experience of how to make chocolate. After learning how to make the chocolate, go on a chocolate tasting where you can sample chocolate from Africa, Indonesia, Mexico, and more. A singing conductor might be a bit hokey, but that’s part of the fun as you tour around town in an old-fashioned trolley. Conductors point out notable landmarks along the way. Those who are interested in Milton Hershey history will want to go along for the ride. Keep an eye out for Kiss-shaped street lamps! Hersheypark is filled with spectacular rides and attractions. Attractions range from a hand-carved carousel dating from 1919 to “Tidal Force,” one of the world’s largest, tallest, splashdown rides. Enjoy drenching water rides, roller coasters, live entertainment, and a chance to take pictures with Hershey characters. Try your chance at challenging games that test your skill, and stop for pizza or pierogies as a prelude to a chocolate dessert. And you can’t leave without trying the new ride, Reese’s Xtreme Cup Challenge. This high energy laser game puts car against car in a competition for the highest score. For old-fashioned, boardwalk-style fun, be sure to spend some time in the Midway America area of Hersheypark. Midway America has rides, games, and food galore in a central location — everything from the Ferris Wheel to the Wildmouse to Dippin Dots. Want to take a break from chocolate and persue some peanuts and Cracker Jacks? One fun way to mingle with the locals when you travel is to attend a minor league baseball game, and nearby Harrisburg has a popular team with plenty of cheap seats. If you have more than a few hours to spend in Harrisburg, you may want to coordinate a game with a paddlewheeler cruise (see above), since both activities operate from City Island.